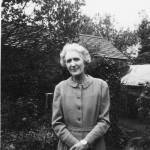 Elizabeth Goudge was born in the cathedral city of Wells in 1900 and spent her first 11 years there (Wells is the model for Torminster in The City of Bells, Sister of the Angels and Henrietta’s House) where her father an Anglican priest was Dean of the Theological College. She was an only child. Later the family moved to Ely (The Dean’s Watch) and then when she was 23 to Oxford (Towers in the Mist) where her father was offered the prestigious post of Regius Professor of Divinity. Suffering from chronic pain and ill health Mrs Goudge could not spend the winters in the damp medieval house which came with the post. Therefore, a bungalow was bought at Barton-on-Sea in Hampshire and she and Elizabeth spent the winters there. Elizabeth had gone to boarding school in Hampshire and loved the the Keyhaven marshes (The Damerosehay Trilogy). Following her father’s sudden death in 1939 Elizabeth and her mother later moved to Devon (The Little White Horse) and her later years were spent in Oxfordshire in the cottage described in The White Witch. All her adult life Elizabeth Goudge was burdened by crippling bouts of acute depression but her Christian faith remained never faltered. She became a bestselling author and this enabled her to travel and provided her and her mother with a comfortable home. GGBP have previously published Henrietta’s House and Sister of the Angels, both of which are now out of print. 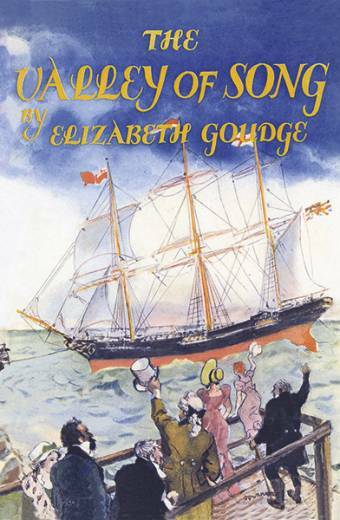 The Valley of Song was published on 26th February 2019.